For teams doing mobile sales calls, this is a must-have. Salestrail automatically logs all of your inbound and outbound sales calls into Salesforce, saving you time, effort, and bother. 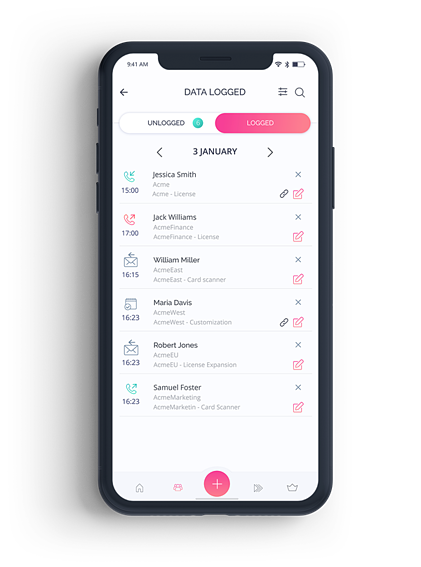 And if you are choosy, we let you manually log the calls you want to keep and discard the rest. Built in Caller ID which shows who is calling based on your Salesforce Contacts. 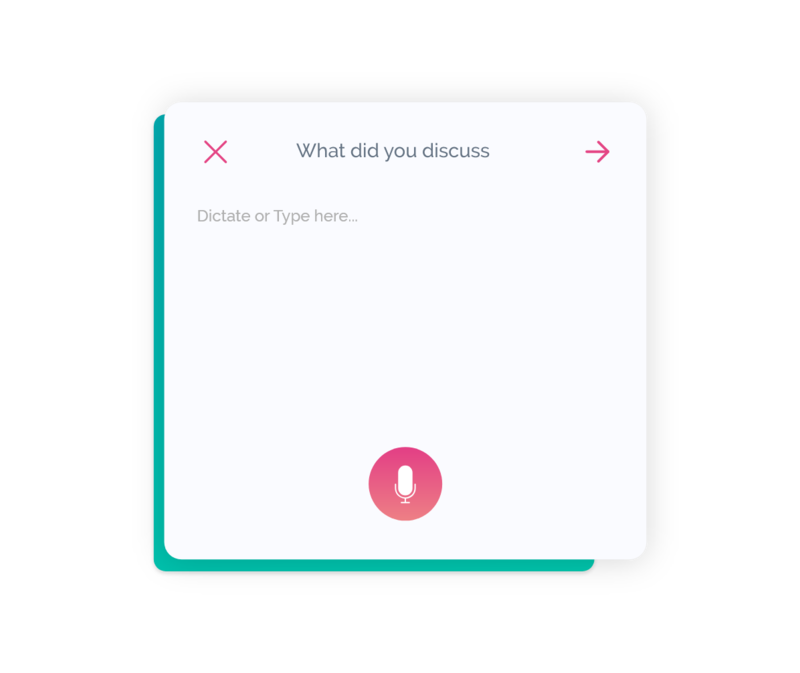 After each call you'll be able to quickly and effectively take notes on exactly what you discussed using speech-to-text. 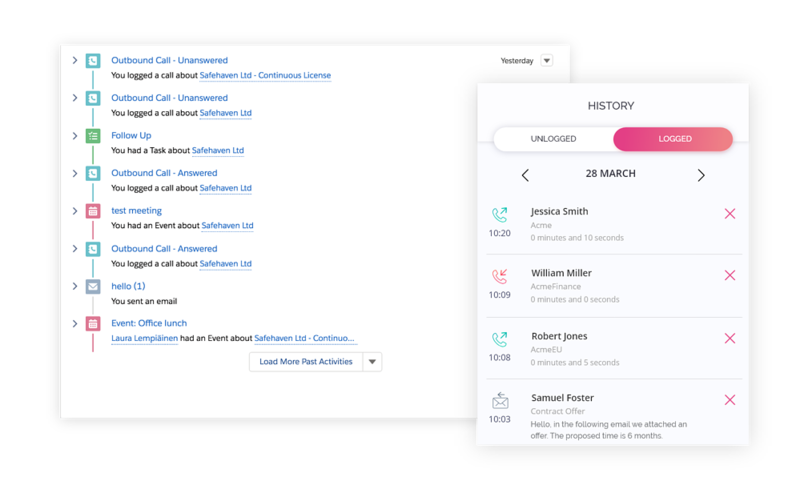 These notes automatically go to Salesforce so that you and your team never lose track of what you have been discussing in each call. 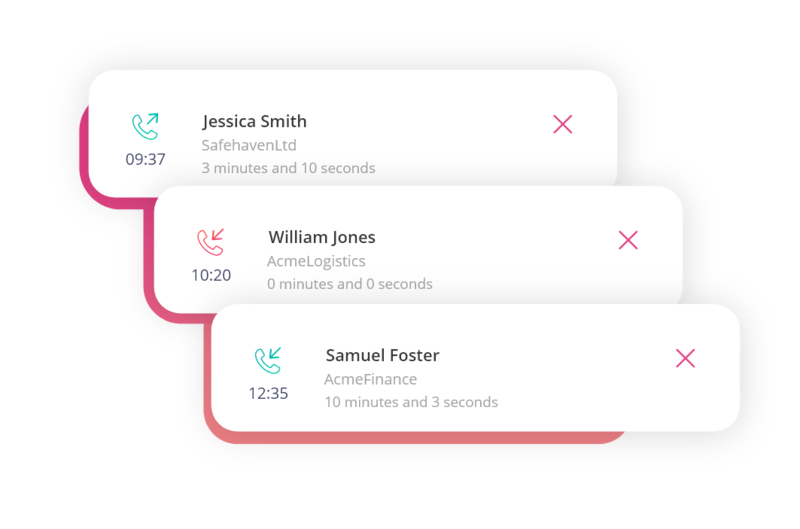 Track the duration of the call, weather it was answered or declined and weather it was inbound or outbound to better understand and manage the way your team works. After each call Salestrail urges you to set up the next task and mark any previous tasks as done, ensuring you always follow up on your prospects. These tasks will show up in the app as well as in Salesforce, giving you and your team a full view on your tasks and progress.